The club has a successful programme for kids, where they can enjoy playing games that have an underlying purpose of developing their motor, cognitive and socio-emotional skills. 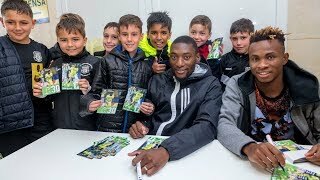 Villarreal CF offers a special programme for children between the ages of three and six, serving as the step before they can enter the Yellows Academy. The Psychomotor Skills for Kids course (Curso de Psicomotricidad) is one of the most successful activities organised by the club, as it attracts more and more interest season after season. 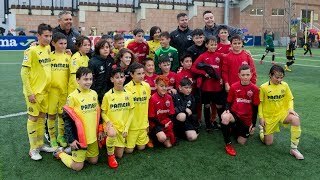 So much so that in recent years the course has had to significantly increase the places available to accommodate the high number of children who want to learn, play and enjoy this activity at the Villarreal CF Training Ground (Ciudad Deportiva). What does the Psychomotor Skills for Kids course involve? Visual games, sensory-motor games, games with rules? Above all, the objective of the Psychomotor Skills course is to aid the overall development of the child in all actions: motor, cognitive and socio-emotional, with the games being the activity stimuli to develop the young children's physical condition. The Psychomotor Skills for Kids course brings together motor, cognitive and emotional abilities... Activities based on the natural and spontaneous movement of children. The games are methodological instruments in the structure of the sessions through which exploration of all possibilities of movement are encouraged. By means of games, physical activity and expression activities involve participation at an intellectual, physical, social and emotional level aimed at practicing an intelligent sport with a wide social-motor base as is football. Depending on the preference of parents/guardians, they can choose to sign their child up for one or two days a week for this leisure activity that will help the healthy growth of their child.